Building on the Solid core principles of it's predecessors, Carbon adds 5% silver plating encased in High-Density Polyethylene Insulation and precise geometry. Designed to maximize performance of HDMI, Audioquest's cables push sonic performance to new levels. Strand-Interaction distortion is eliminated using solid Conductors. 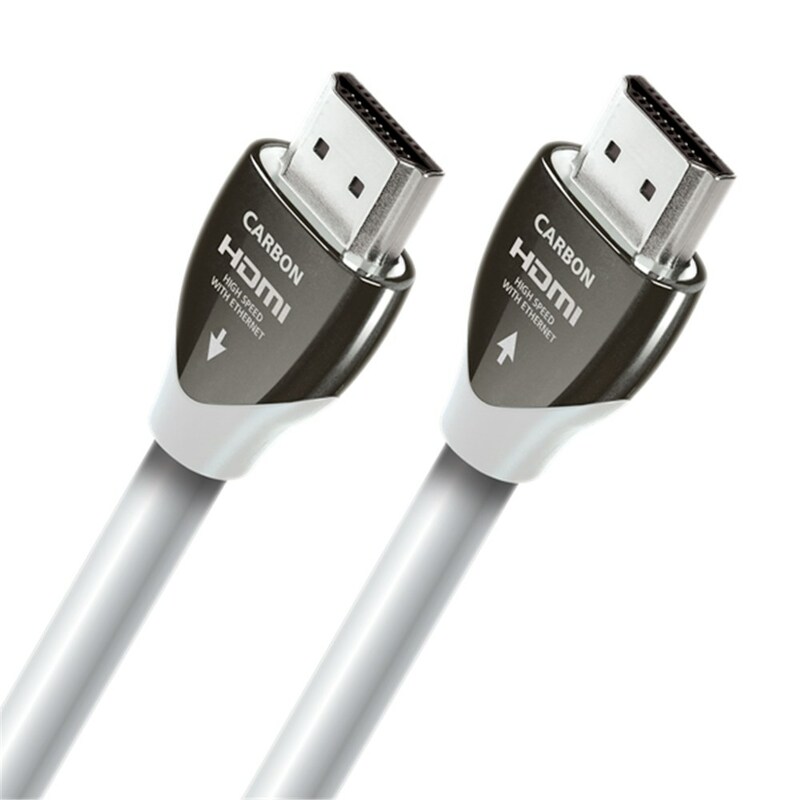 Carbon's Solid Silver-plated conductors reach new levels in signal transfer performance for High-frequency applications like HDMI audio and video. High frequency signals like these travel almost exclusively on the surface so Carbon's high-purity silver coating can take full advantage of the conductors and give performance close to that of solid silver cable. Carbon's design is an incredibly cost effective method of manufacturing ultra high-quality cable at pricing to compete with standard solid copper rivals.